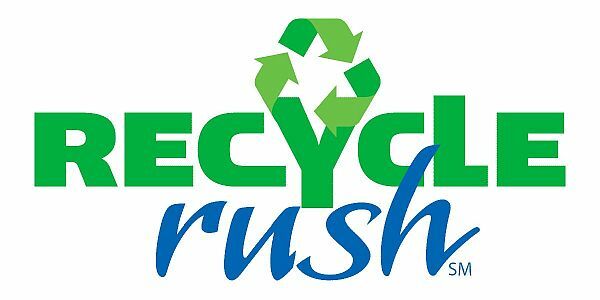 The Groton Dunstable High School Robotics team, fondly known as “The Robotomies”, has completed the FIRST Robotics “Recycle Rush” competitions for 2015. The first competition was held at Nashua High School South on Feb. 27th and 28th. The second competition was held at Bryant University in Smithfield, RI on March 21st and 22nd. 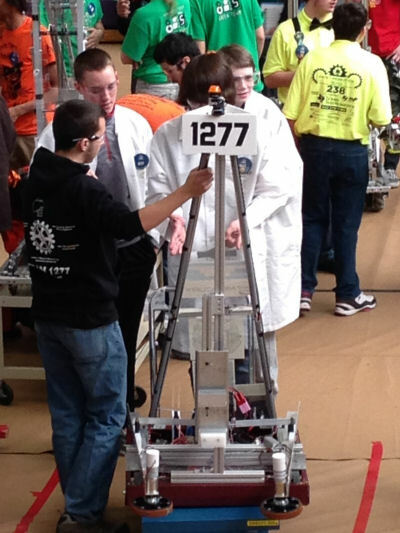 The team (Team 1277) showed a great deal of improvement over last year as well as improvement between the two competitions, doubling their average score. This year the team did not have as many technical issues with their robot as they did last year but instead learned that they also need to focus on the strategy part of the game as well as the technical challenges. The student participants are already looking forward to next year’s competition. The Robotomies lost 14 members of their team last year due to graduating seniors. This year has been a growing and learning year for the team. Currently, there is one senior, 4 juniors, 10 sophomores and 8 freshmen on the team. The freshmen who joined the team this year started learning the ropes, which will lead to a stronger team in the next few years. The team is given a challenge each January (the same challenge is given to 3000 other high schools internationally who participate in the FIRST Robotics tournaments) and then they have 6 weeks to design, build, program and test their robot. This provides the students with unprecedented real world experience and this experience is rewarded by sponsors and Universities; each year FIRST Robotics provides $20 Million in scholarships to its participants. The competitions are exciting events held in a packed-full gymnasium with about 40 high schools competing in each of 9 New England events. It gets really loud during the competitions! You’ll be hearing more about the Robotomies in the fall as they gear up for the 2016 FIRST Robotics competition season. Please support your high school’s Robotics team — these students are sure to be leaders in the quickly growing field of Robotics as well as many other engineering disciplines. Did you know that the High School just added a Robotics course to their list of elective courses for the 2015-2016 school year? Fantastic addition! Team members (left to right) Andrew Karasevich, Max Battles, Steven Bettencourt, Joshua Vollmar.